Holidaying with a baby can be a bit of a tricky one. Especially when they’re weaning. 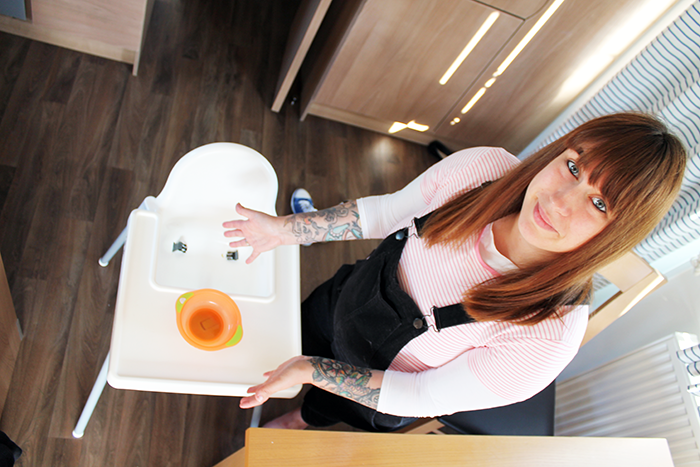 We’ve been over to Weymouth for five days in a caravan with a nearly one year old and we took with us a little weaning kit from Vital Baby* to help us whilst there and out and about. I love anything that makes bringing up a child a little easier, especially on holiday when I want to relax and enjoy myself too. 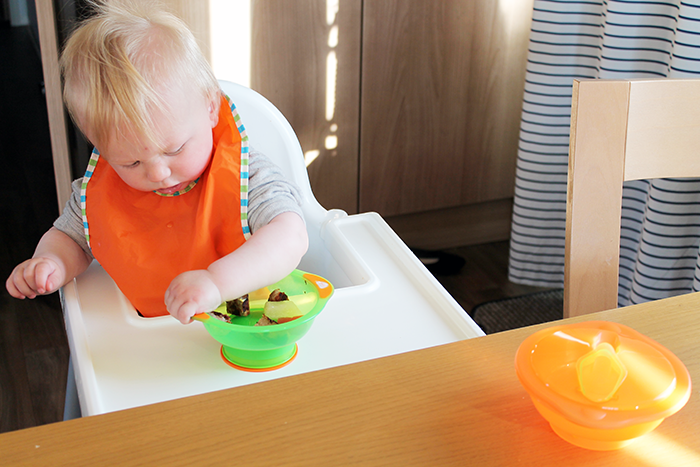 The On the Go Weaning Set* is perfect for dinners out when a few extra bits are needed ahead of the main meal arriving (I’m planning on writing a post on eating out with littles’ soon to go through this a little more!) 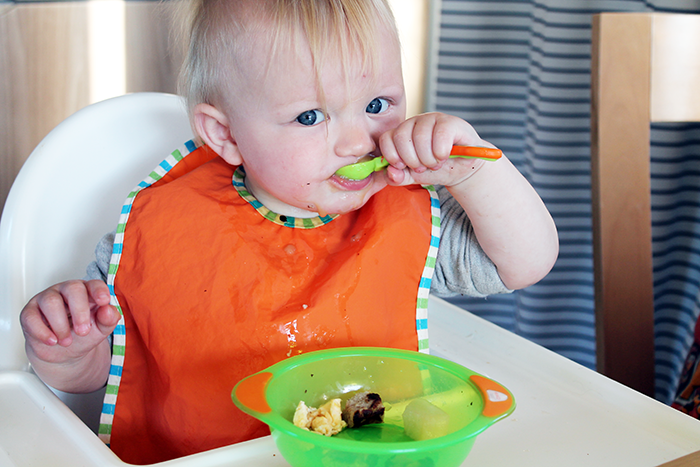 as well as the Mum on the Go bibs* which save a lot of bag space in an emergency. I’m keeping mine in our change bag for the inevitable day that I forget our normal wipeable bibs. The Trap-a-Snack* is the perfect in car snack pot for saving mess on those long journeys to your staycation. We haven’t yet used it properly as Henry is still a little young, but I will be testing it out properly in October when we go away for our second staycation of the year. 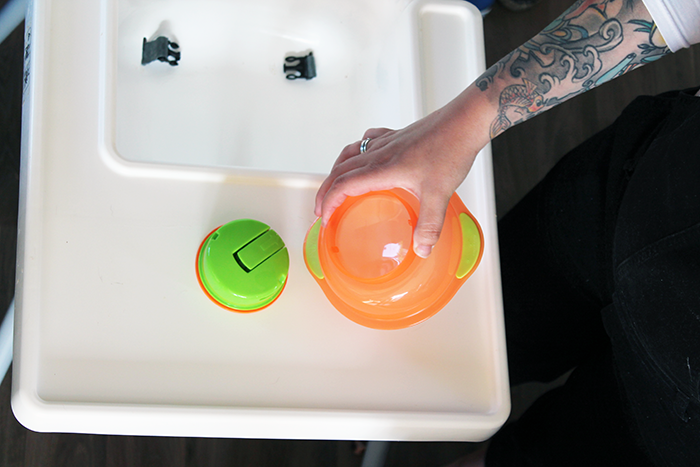 My favourite part of the kit has to be the Unbelievabowl Travel Suction Bowls*. As you can see from the photos above, Henry physically couldn’t pull it off, even when he tried a Beauty and the Beast moment with the bowl. 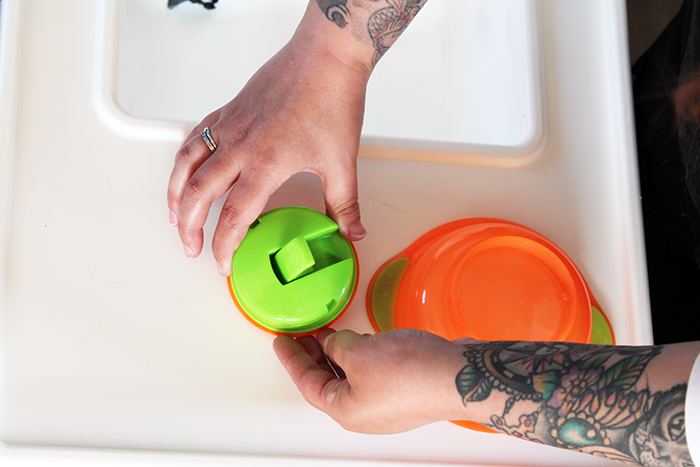 I love that the bowls are inter-changeable and really easy to put together – as you can see below! 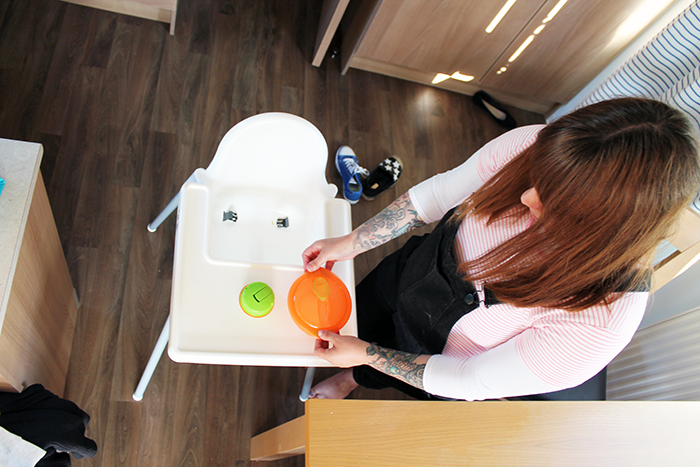 We also love the sanitising water* which makes cleaning on the go so much easier. 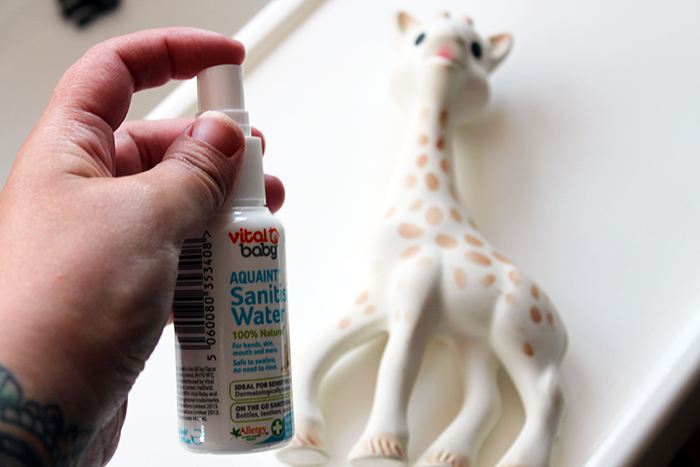 I gave our Sophie La Giraffe a quick spruce whilst away as she’d been dropped a few times whilst away. She’s very well loved. 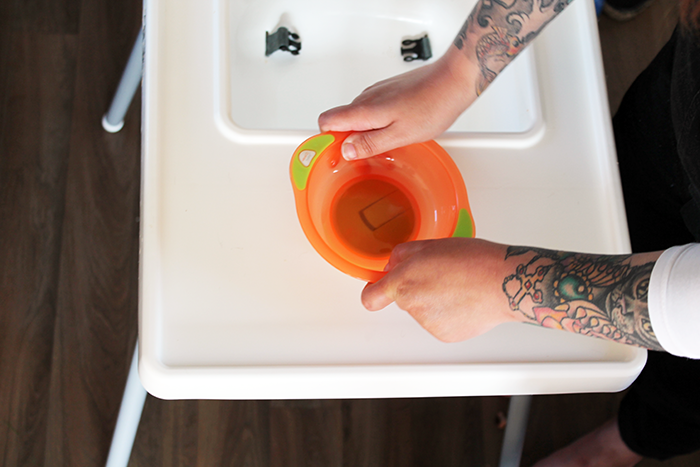 The sanitising water is great for dummies and teats too and because it’s a little bottle it’s much easier to pack with you instead of a load of sterilising equipment. I can see this kit being essential for any holiday and long trip as it’s been so handy, and easy to use. 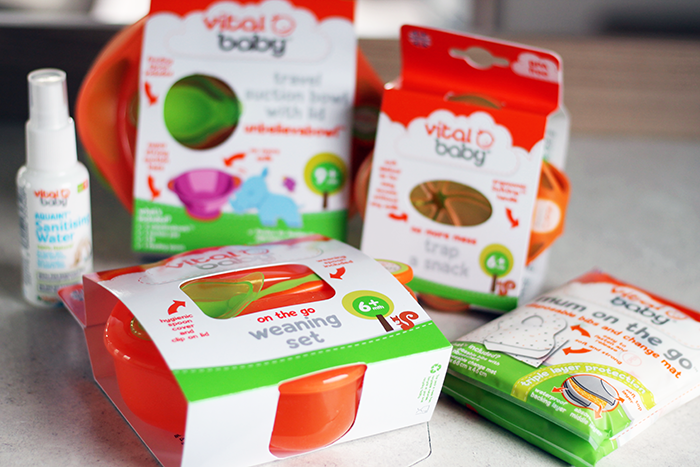 Thank you Vital Baby for sending us the kit and making life just a little bit easier! *PR samples in exchange for review post – all opinions as always are my own. "Durdle Door – Dorset (yes it rained!)" "Am I ready for baby number two?" 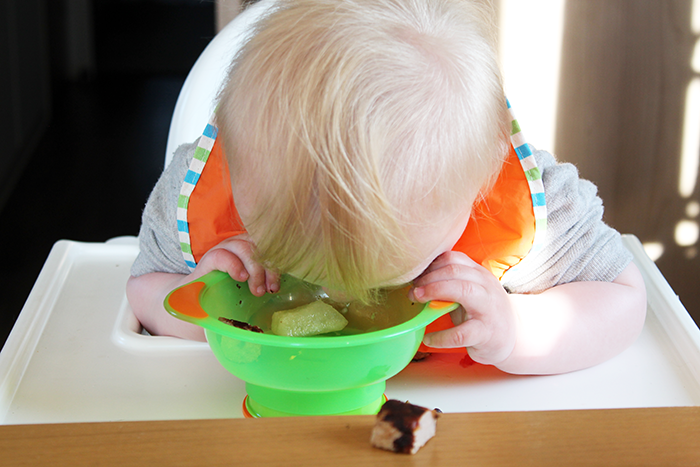 I've always been a fan of bowls with suction cups. We had them when my brother was little and I could not find any for Sylvia but now I Know where to look! 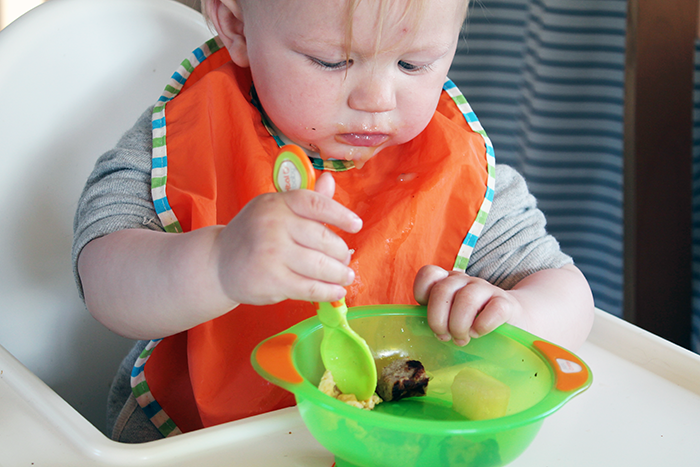 Weaning is messy but fun! These are nice sets. I like the tight lids they've got.